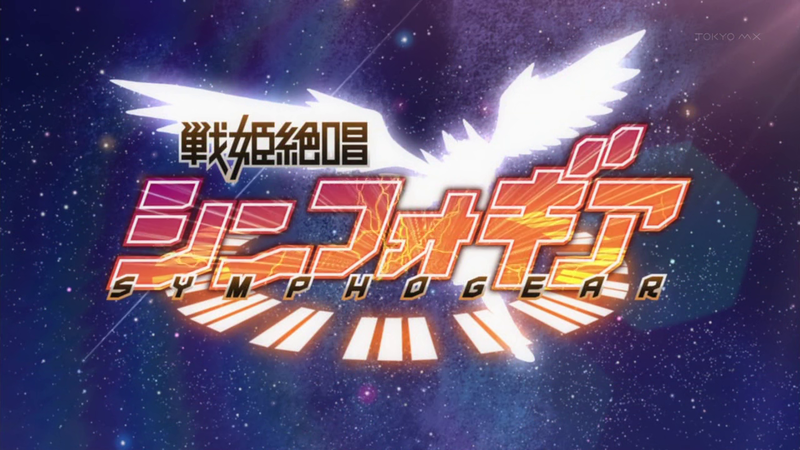 When this anime first came out I didn’t really pay much attention to it since it didn’t sound all that great but now that I’ve watched it, I now suffer from a case of foot in mouth syndrome. 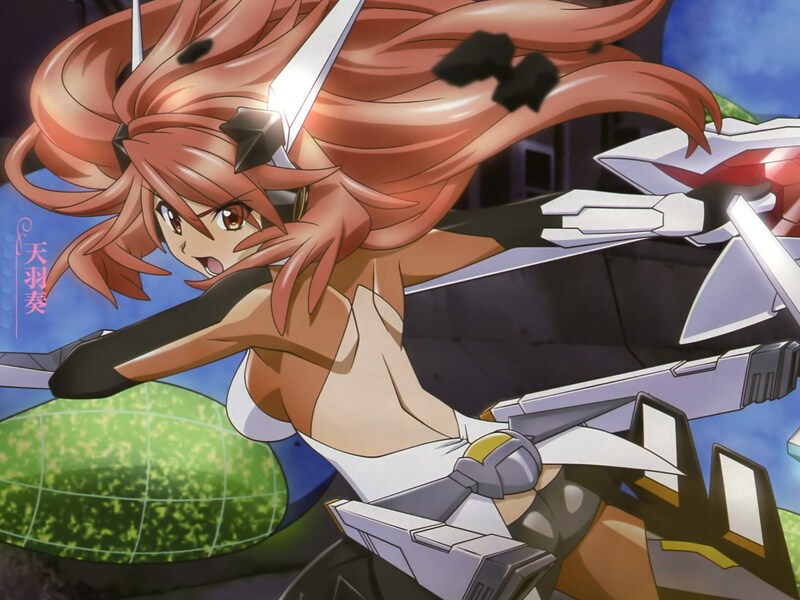 Okay but first to give you an idea what this anime is about. 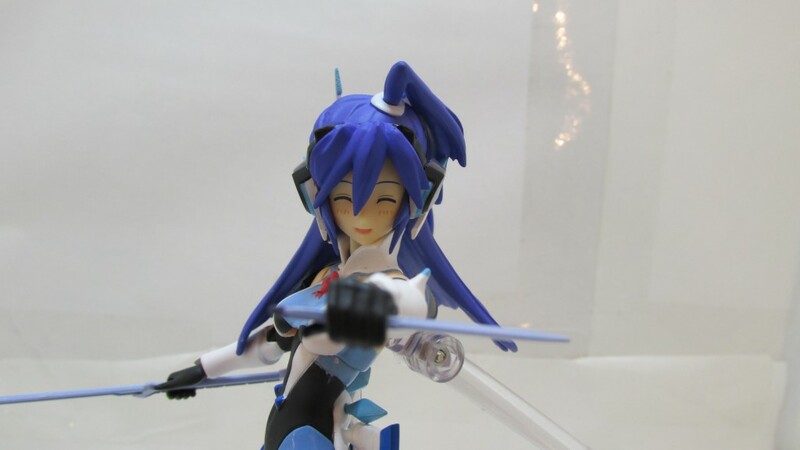 Tachibabna Hibiki is to attend a concert with two idols Amou Kanade and Kazanari Tsubasa from Zwei Wings with her best friend Kohinata Miku but for family reasons can’t make it and leaves Hibiki to watch it alone. 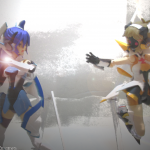 During the performance an explosion happens and everyone is under attack by these entities known as “The Noise”, but Kanade and Tsubasa summons their “Symphogear” and fights back. 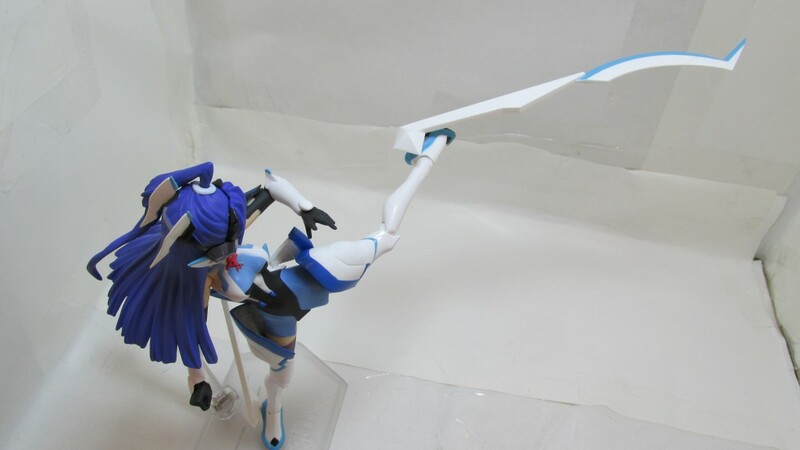 After the fight Hibiki is wounded after Kanade sacrificed herself to protect her. 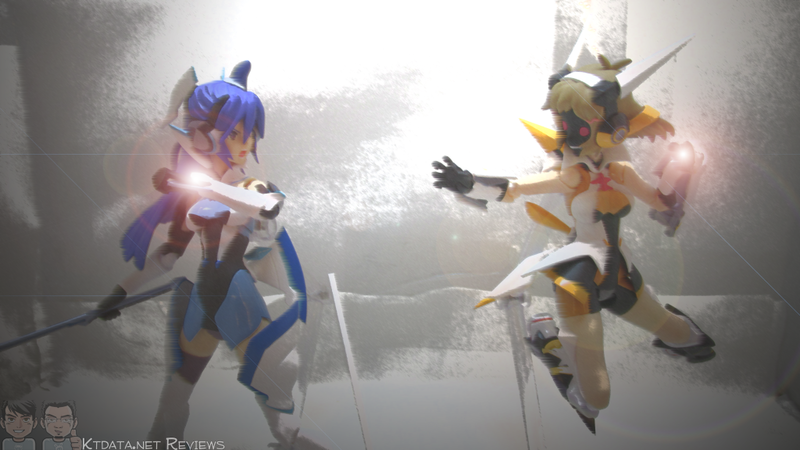 Two years have passed since then and Tsubasa has been fighting the Noise alone till Hibiki awakens the same power Kanade had. 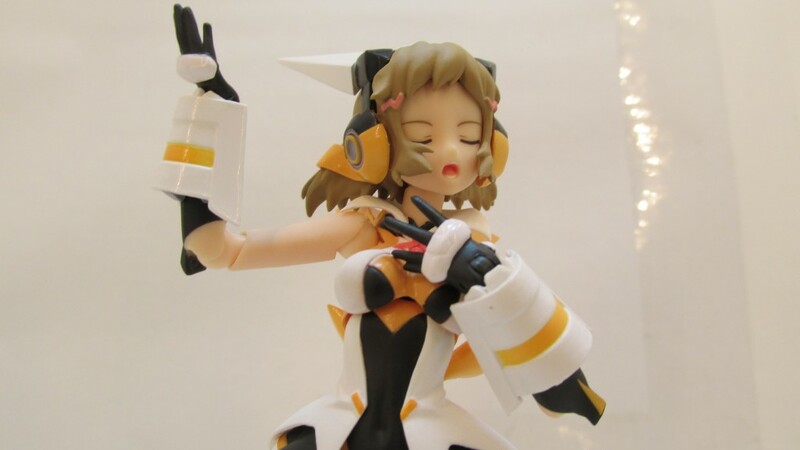 But one other notable thing is that it has some good music in it. 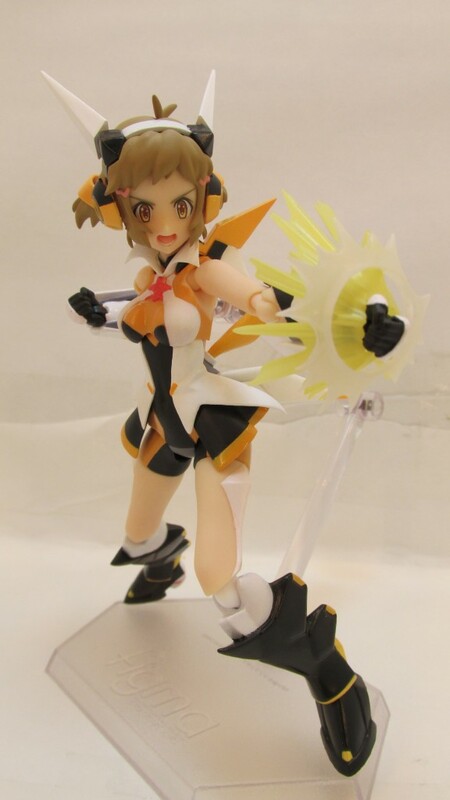 Partner and best friend to Tsubasa as the idol group Zwei Wings and the wielder of Gungnir the spear that can pierce anything. 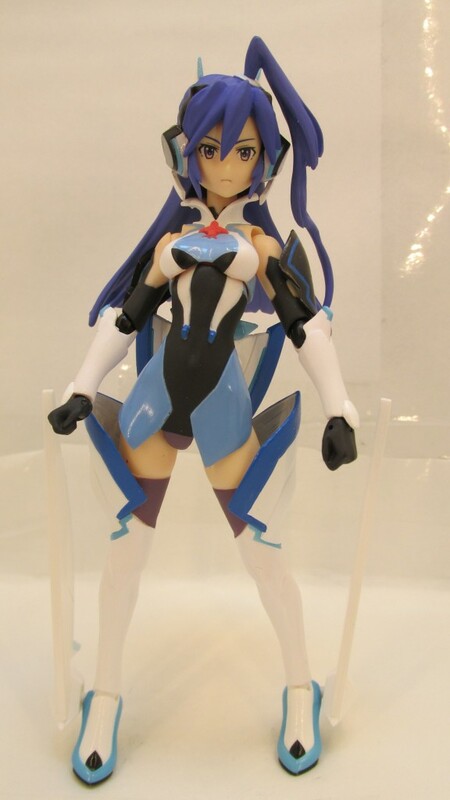 She’s pretty much like the big sister to Tsubasa but you really don’t get to know her to much since she’s only in the first episode but later on you can see how devoted she was to fighting the Noise and her friendship with Tsubasa. 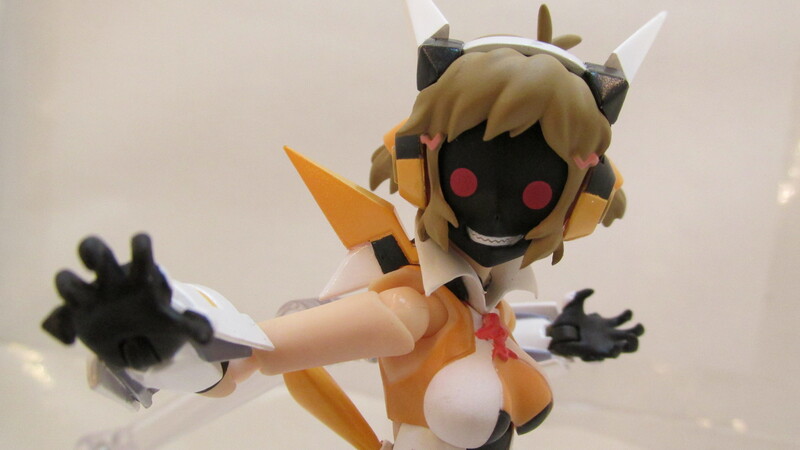 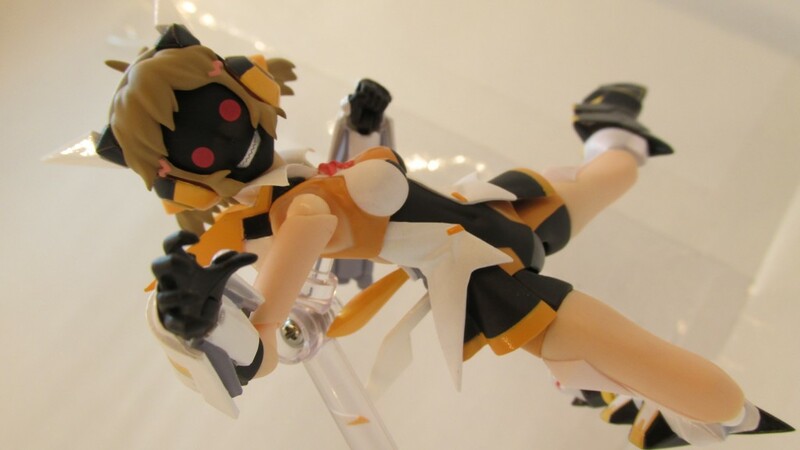 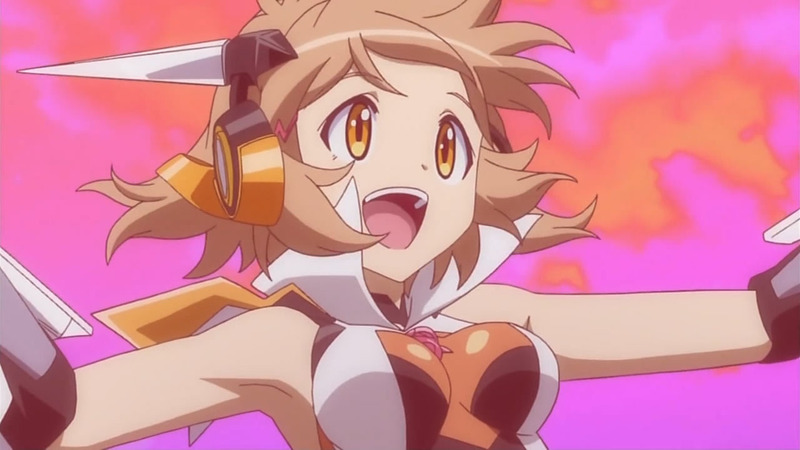 She uses her “Swan Song” (over loads the Symphogear and releases all it’s power and takes the users life) to save Hibiki and the remaining survives. 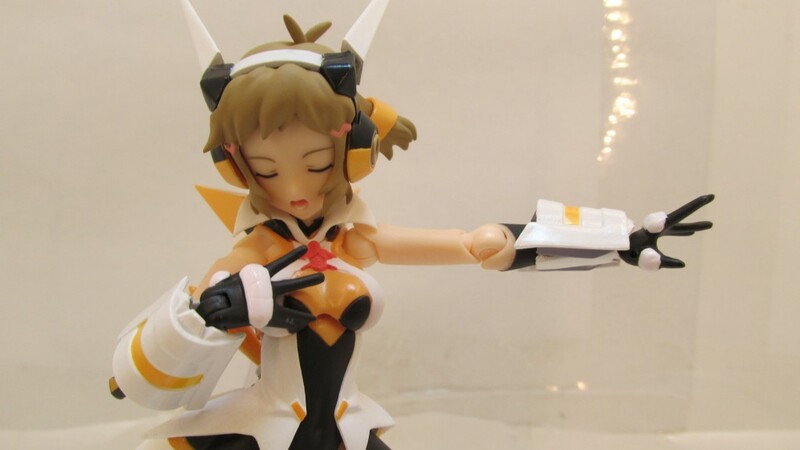 Not the smartest girl but tries her best to help out those in need. 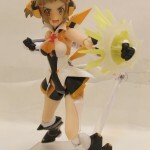 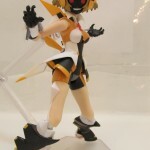 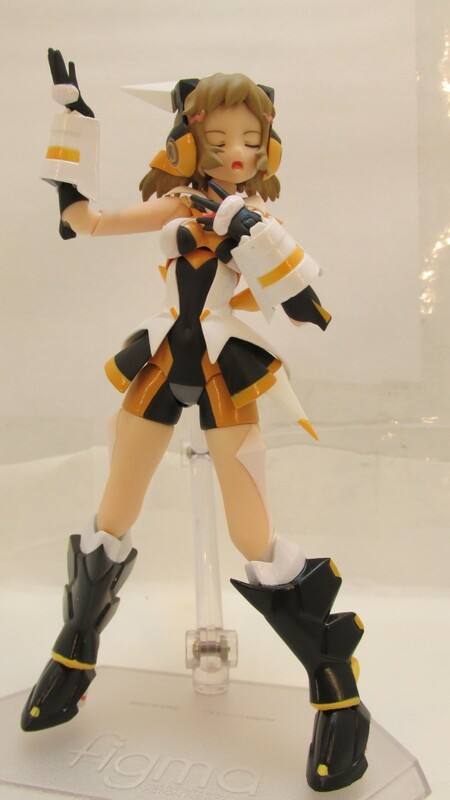 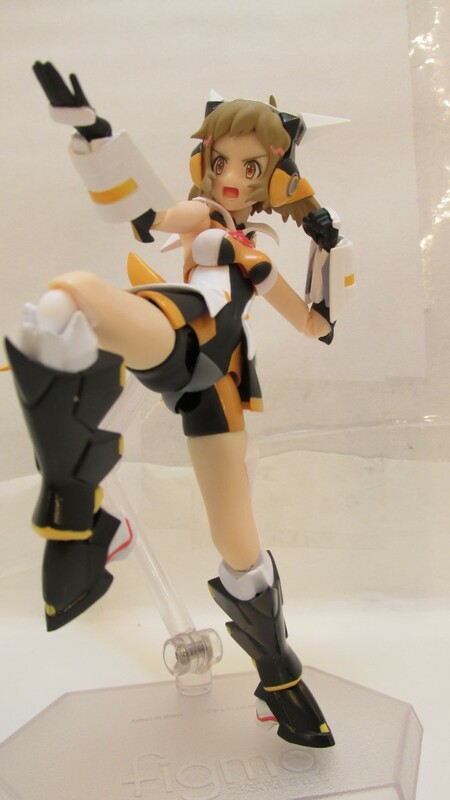 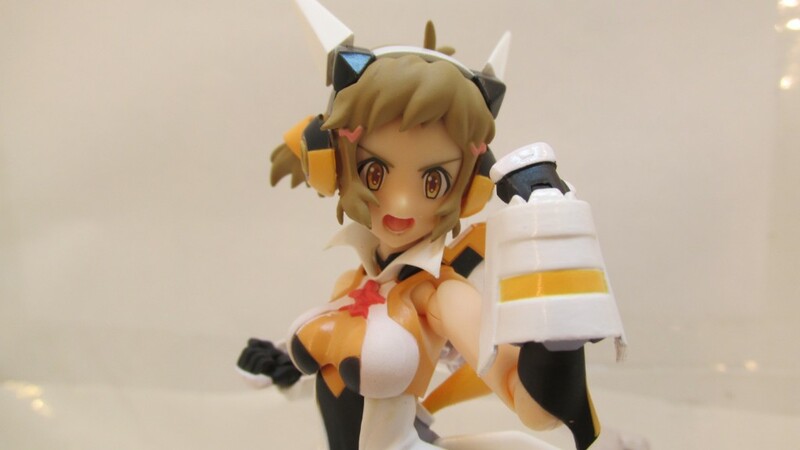 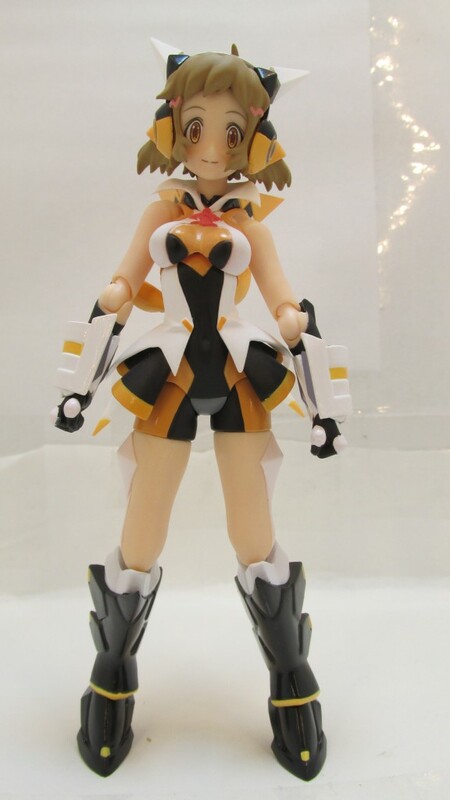 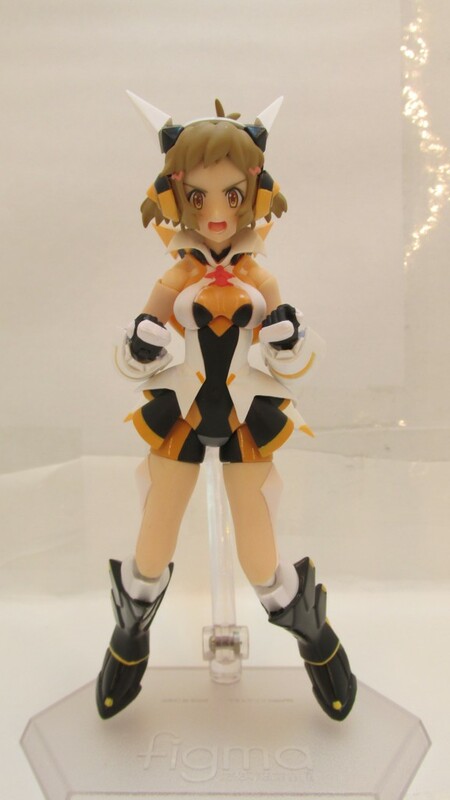 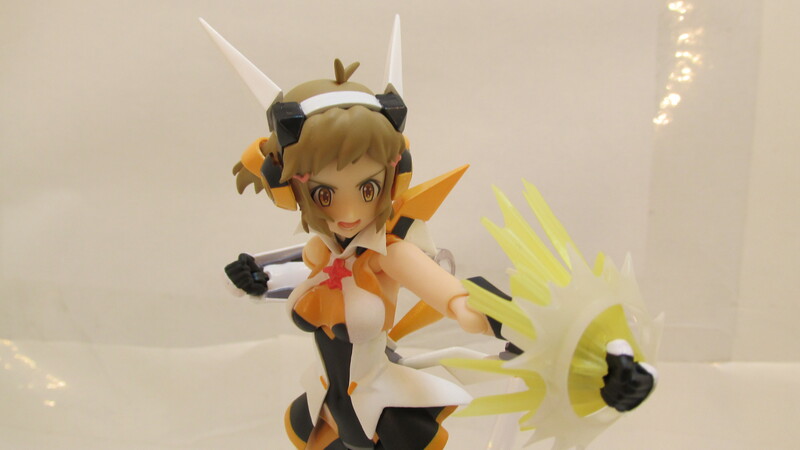 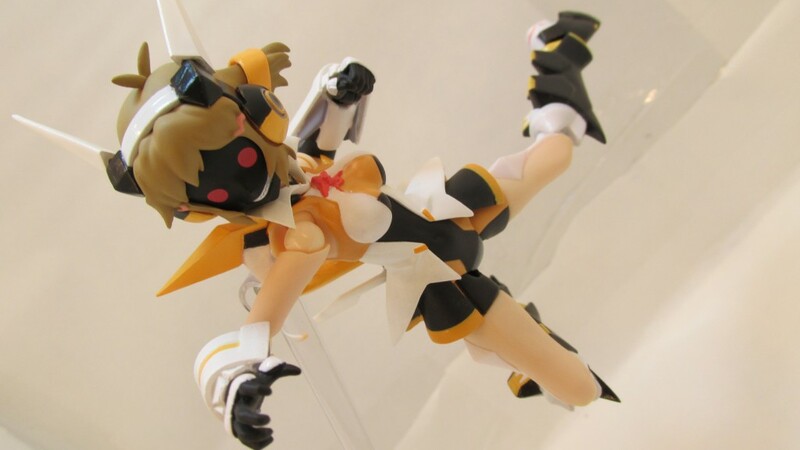 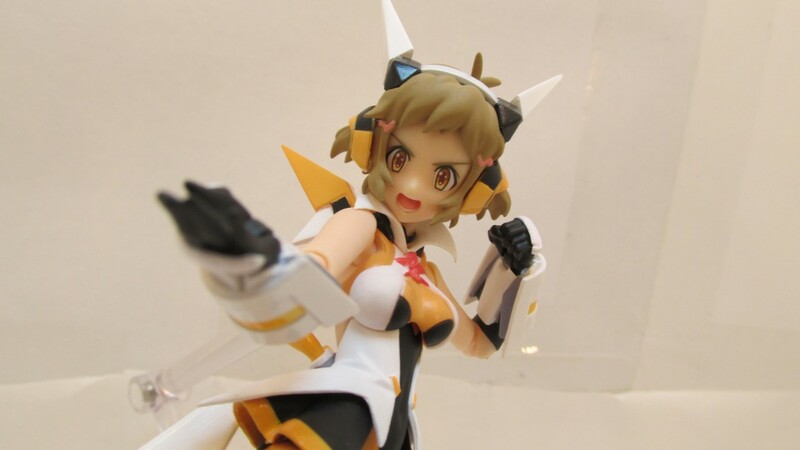 When she first acquires her Symphogear she goes into a berserk mode but quickly recovers from it but her powers comes from the fragment of Gungnir that was to close to her heart to be removed from the incident 2 two years ago. 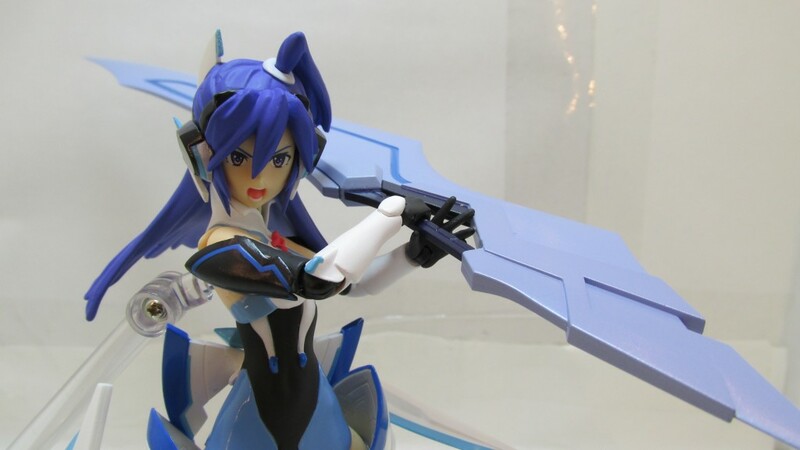 She posses the relic of Heavenrend which was once a blade. 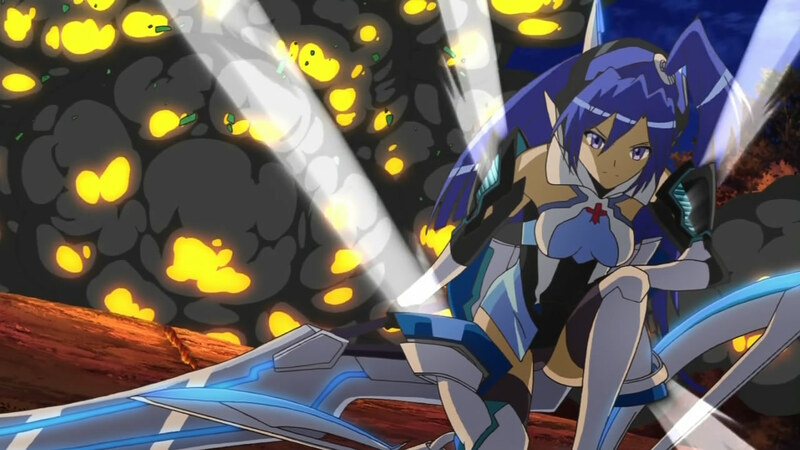 After meeting Hibiki and learning she now uses Gungnir she wants to fight her since she thinks that Hibiki is trying to replace Kanade but after a battle were she uses her Swan Song and survives somehow she starts to come around and fights along with Hibiki. 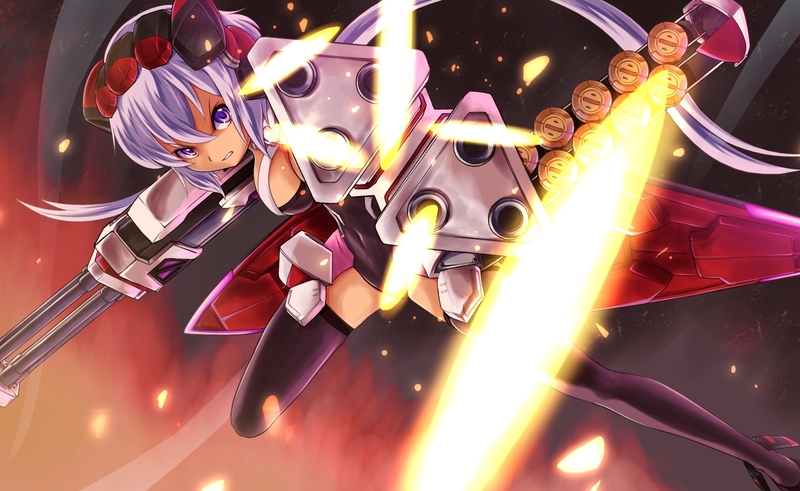 The owner of the third relic Ichii-Bal which is like Sandrock Gundam mixed with Kos-Mos with attitude. 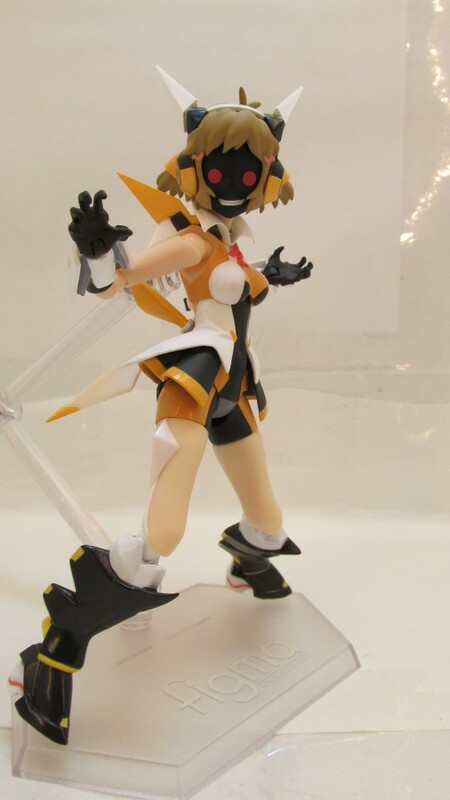 Chris fights against Hibiki and Tsubasa a few times with a complete relic Nehushtan but after her failed attempts fighting she’s to be disposed of and is on the run from her former organization. 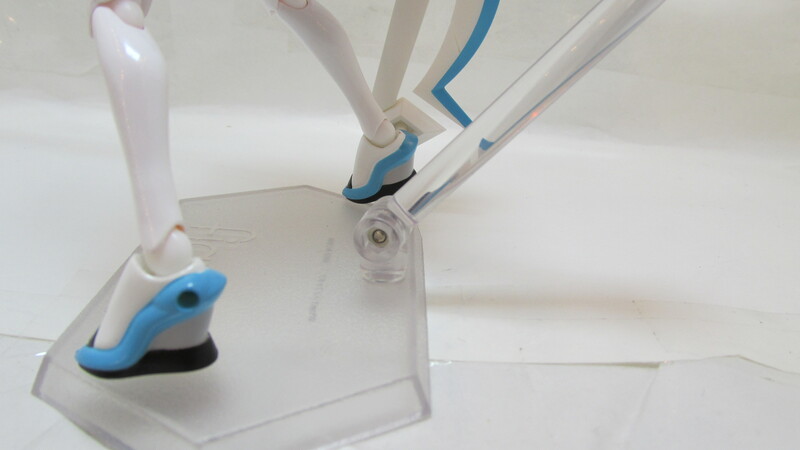 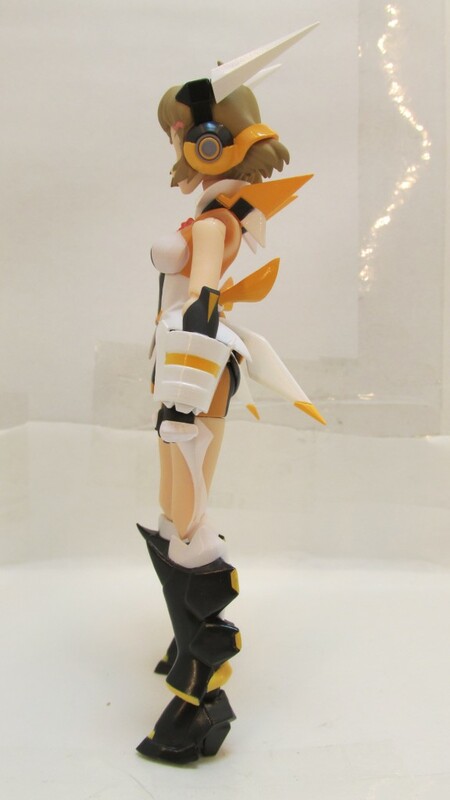 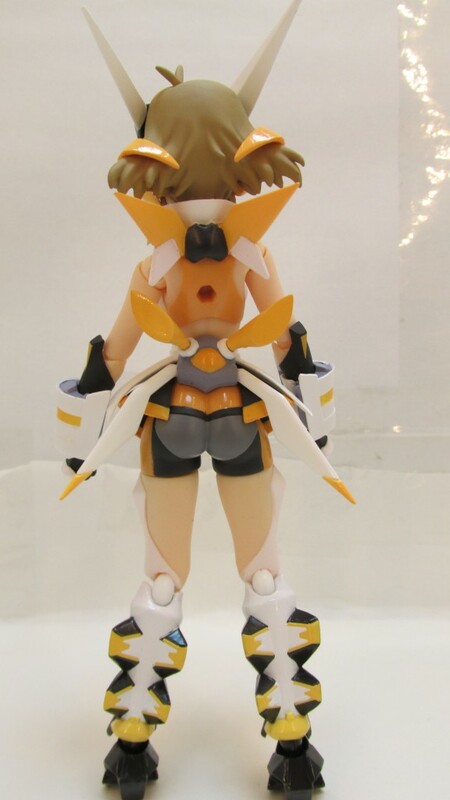 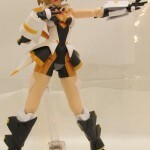 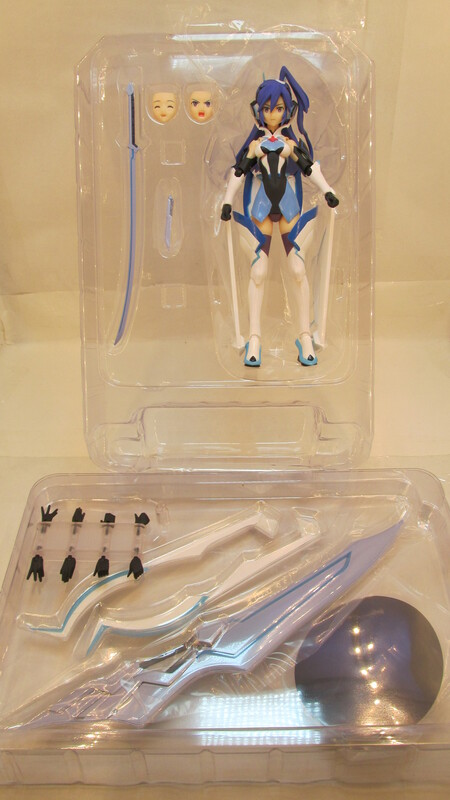 Hibiki’s Figma version is very nice and has a great appearance but does have some annoying parts to her like these wings on her back. 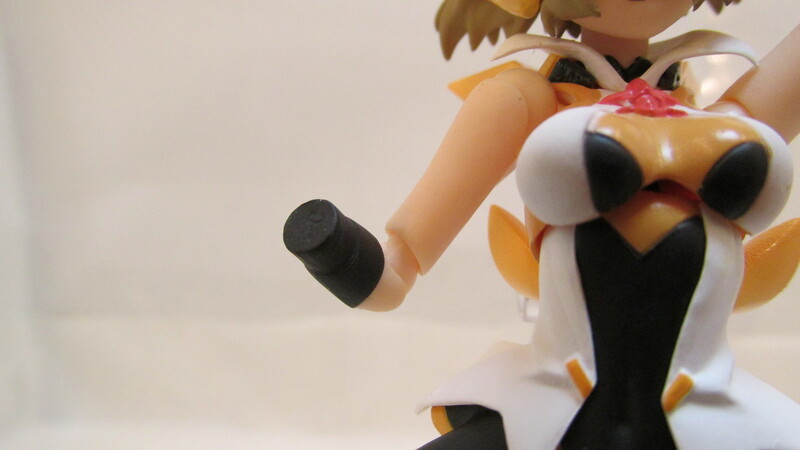 They tend to come off every so often if your not careful you might end up losing one or even breaking one. 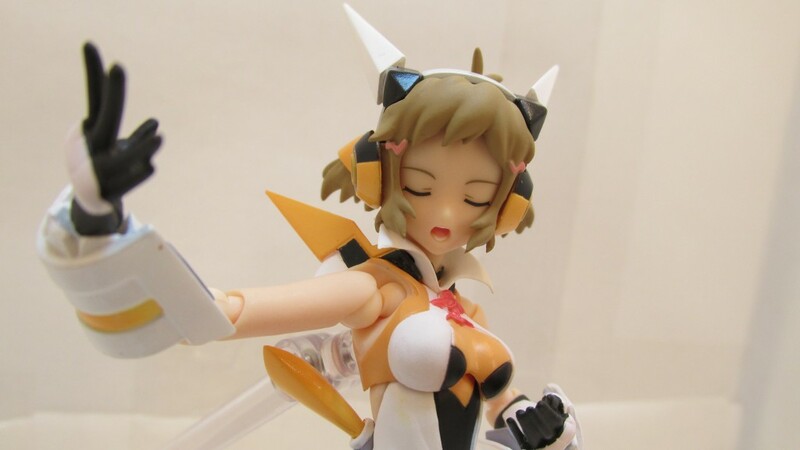 I think one of the best parts of this Figma as to be her berserk face mainly because there’s so many applications that can be used not to mention it just looks cool. 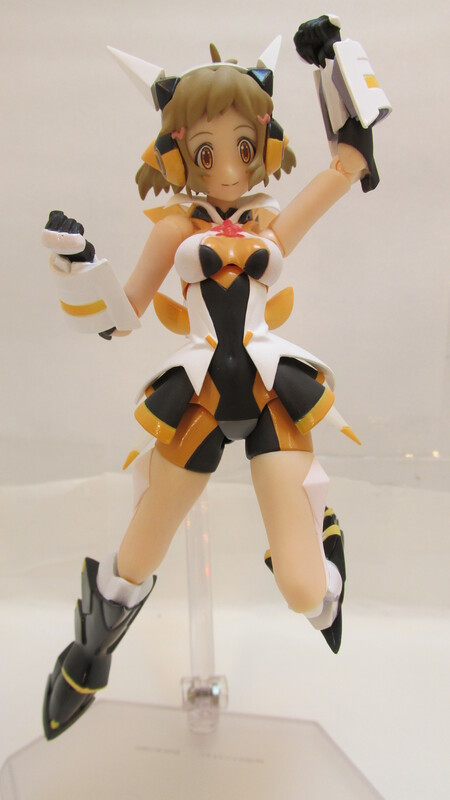 Her arm units are independent so from the elbow to the wrist is movable which is nice since it lets you play around with more posing. 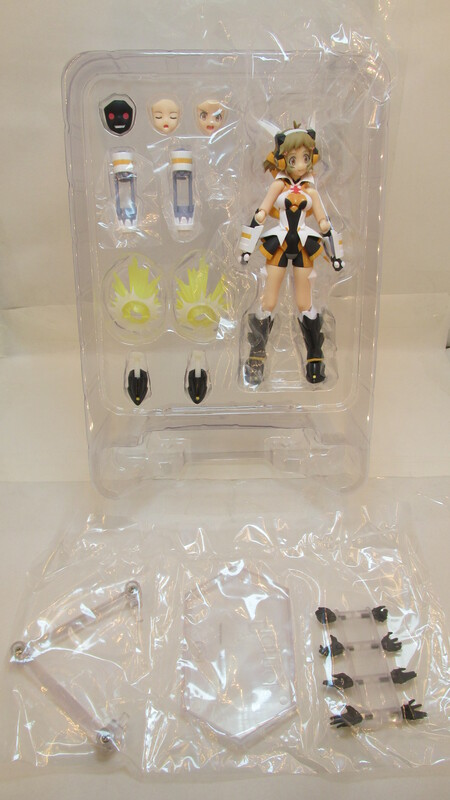 Here’s a look at her contents. 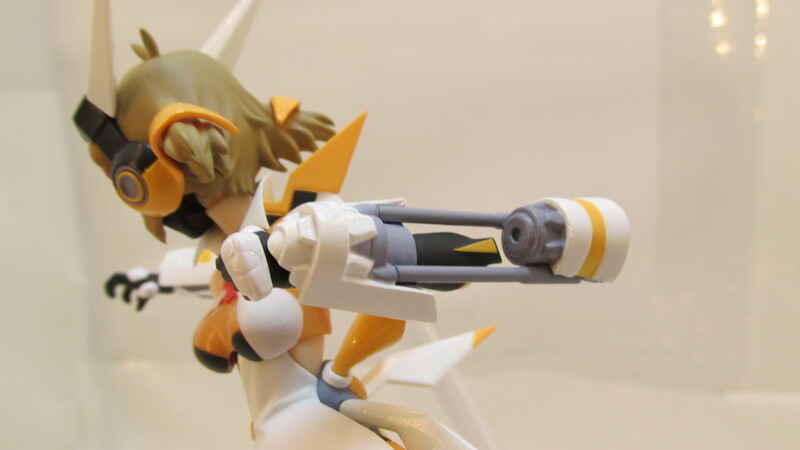 2 “Megaton Punch” arm replacements. 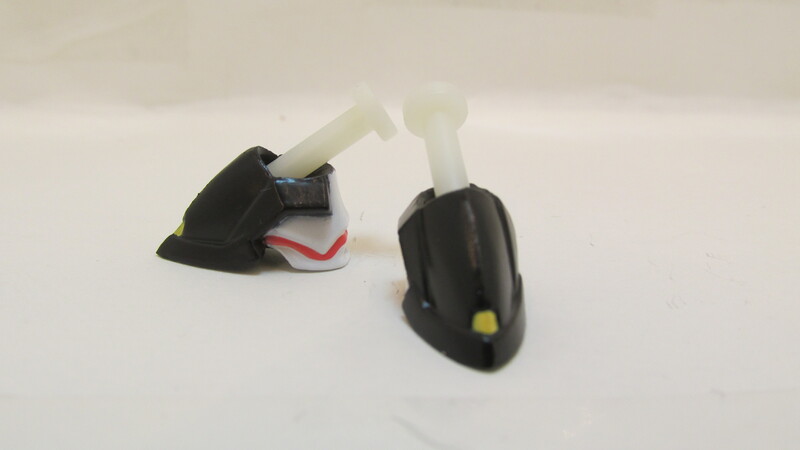 A pair of extra feet pieces. 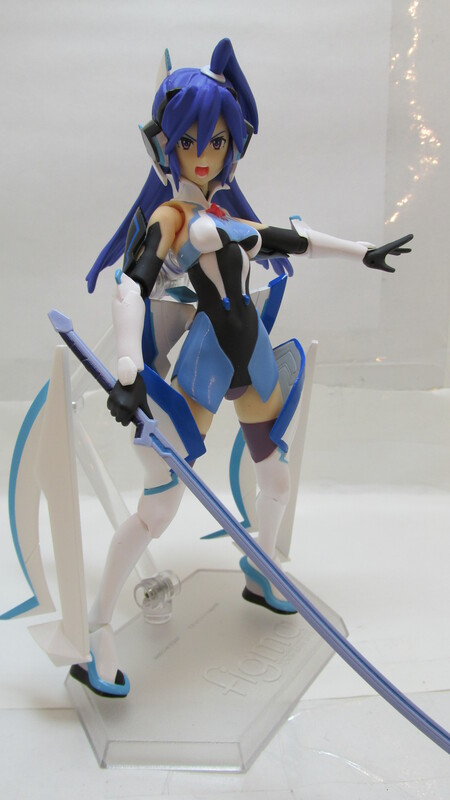 Over all this Figma is very nice and would recommend getting getting her even if it’s just for her berserker face. 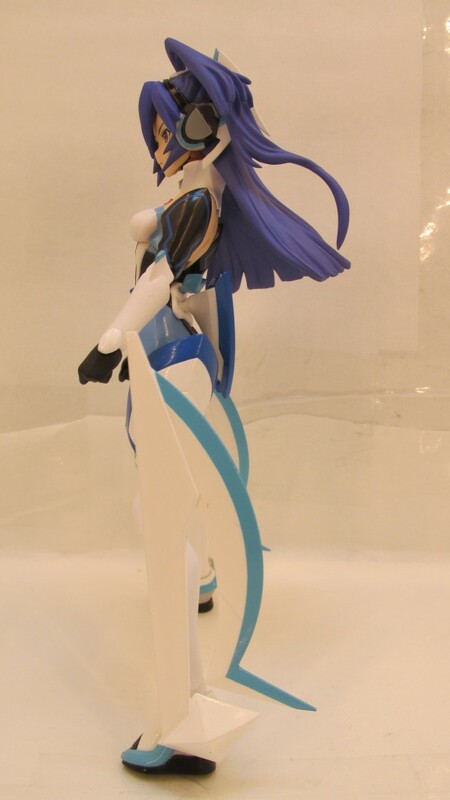 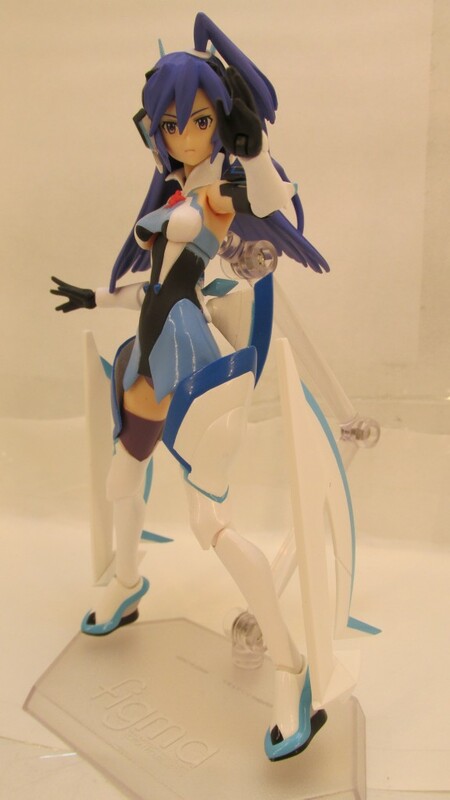 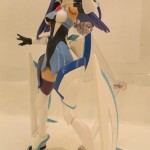 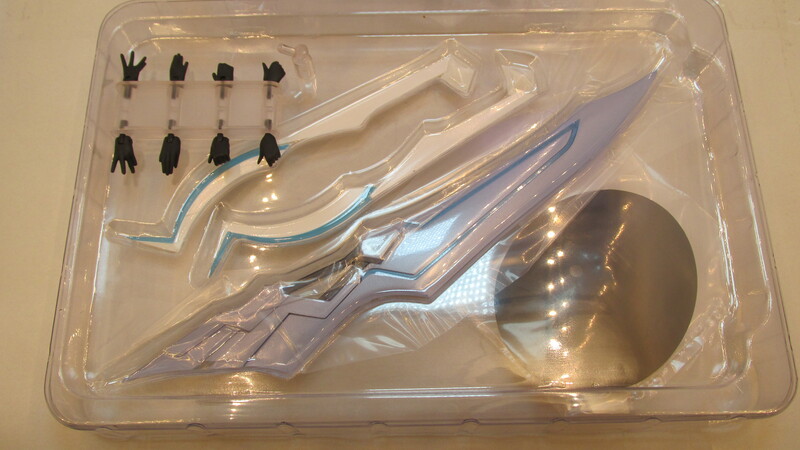 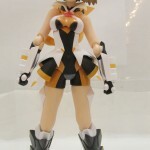 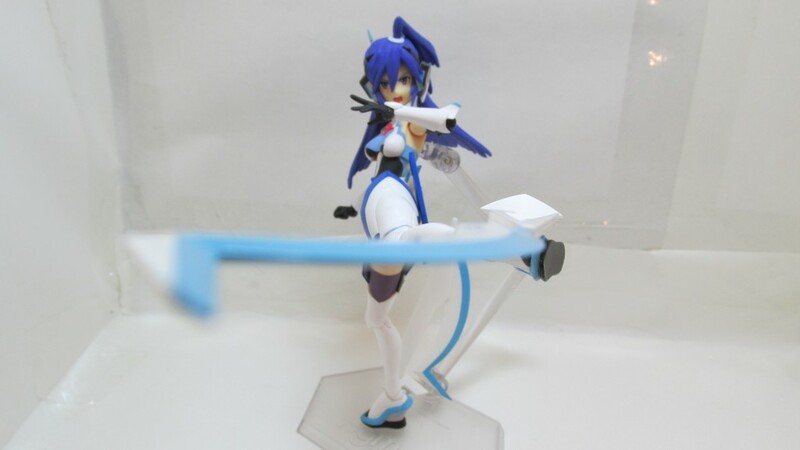 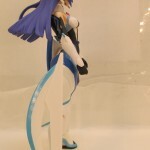 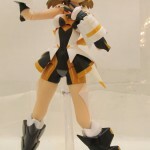 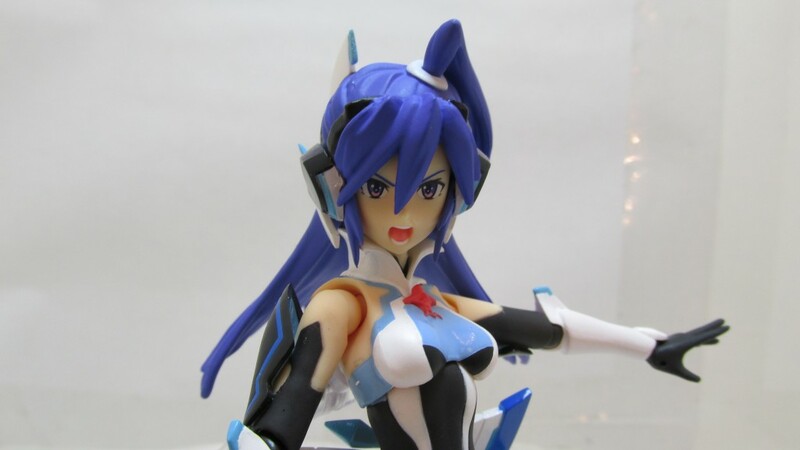 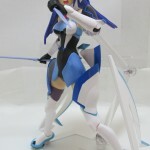 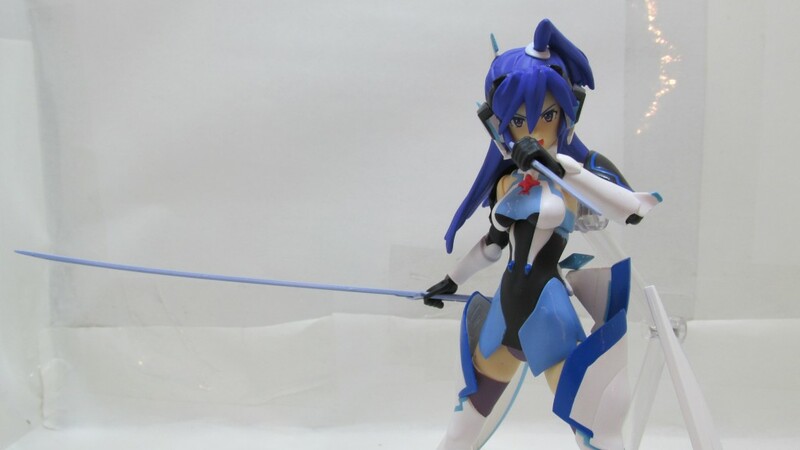 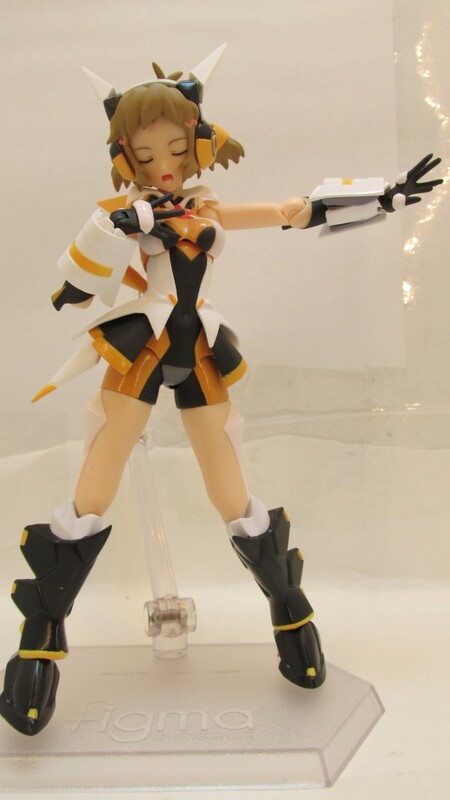 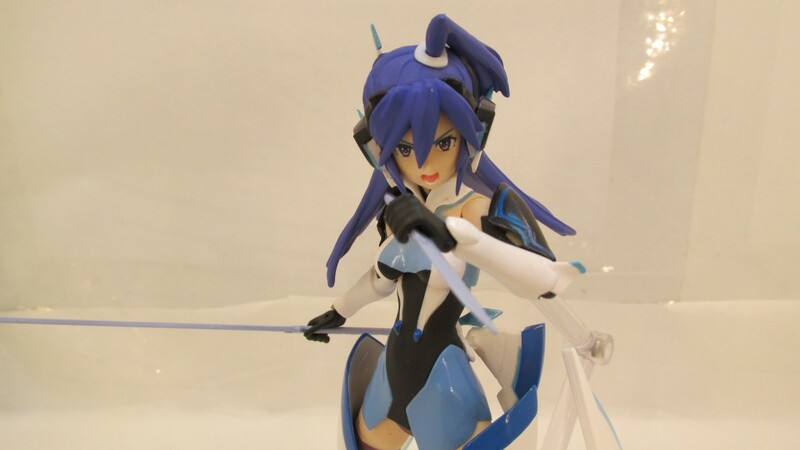 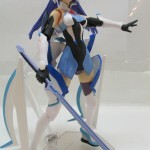 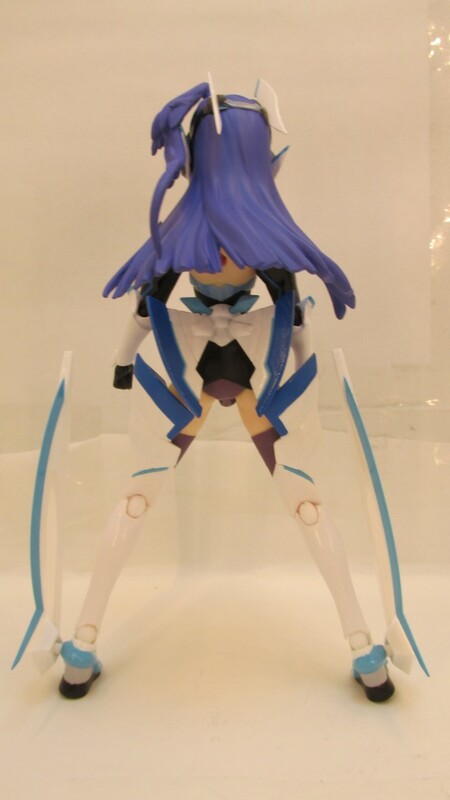 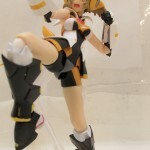 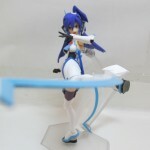 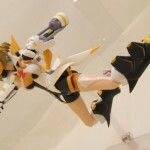 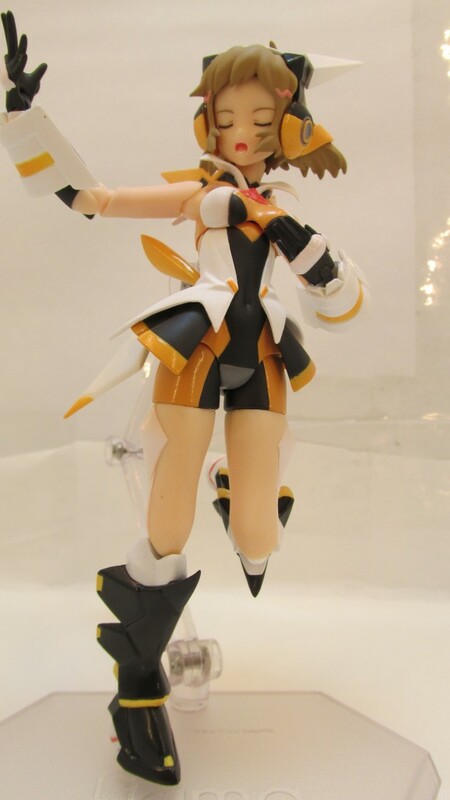 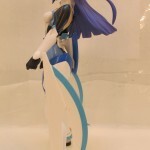 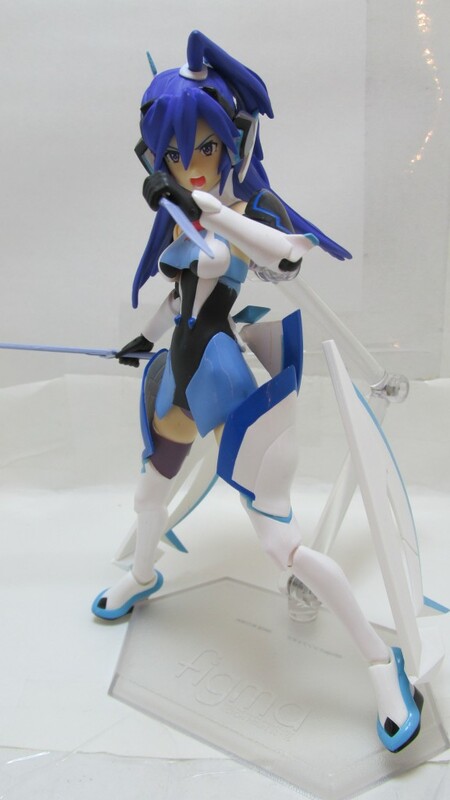 Tsubasa is a must if you have Hibiki but also is a great stand alone figure as well but there is one very annoying part and that’s those blades on her feet, that look weird and ugly but i guess it could grow on you after awhile. 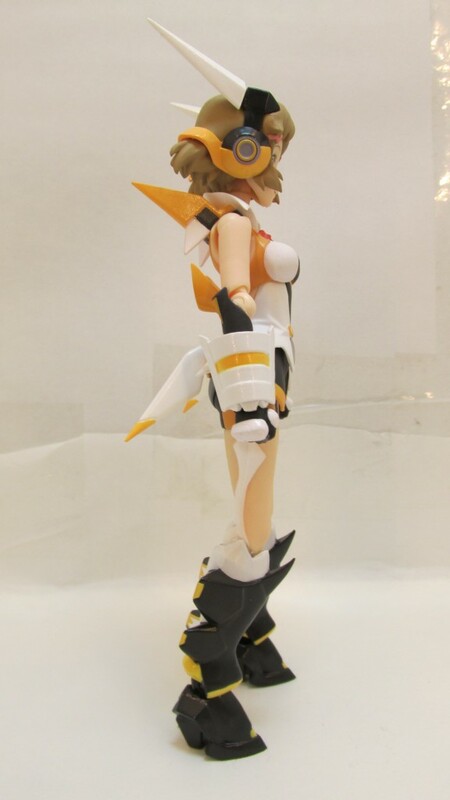 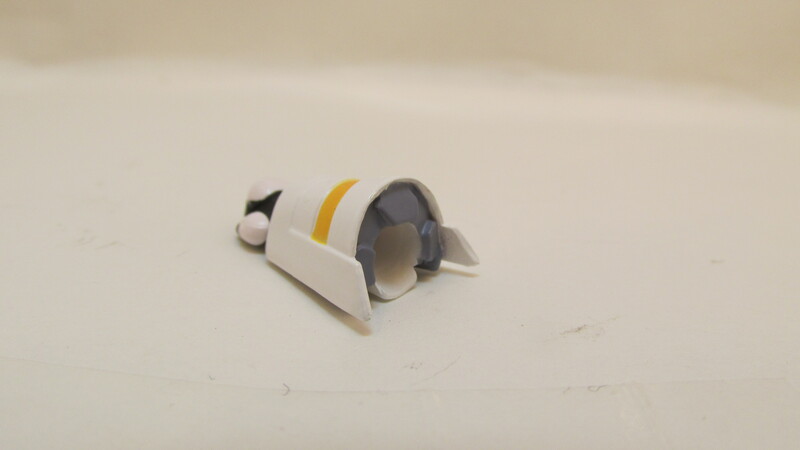 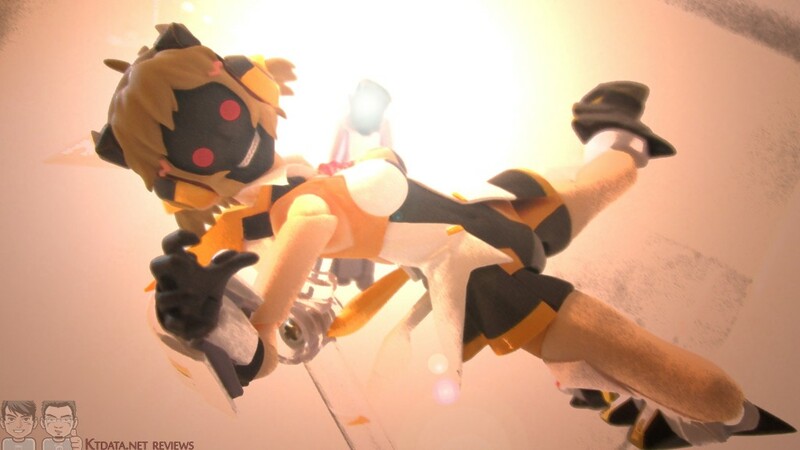 Like Hibiki she also has a very annoying back accessory as well and can fall off just by posing her so take caution with those back pieces. 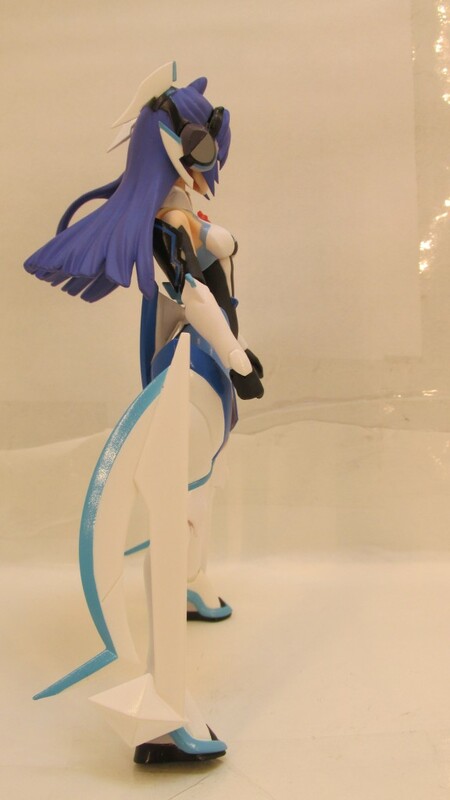 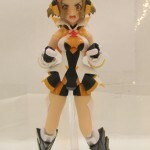 The over all figure is nice and very worth getting but I took off her blades on the feet since I didn’t like it. 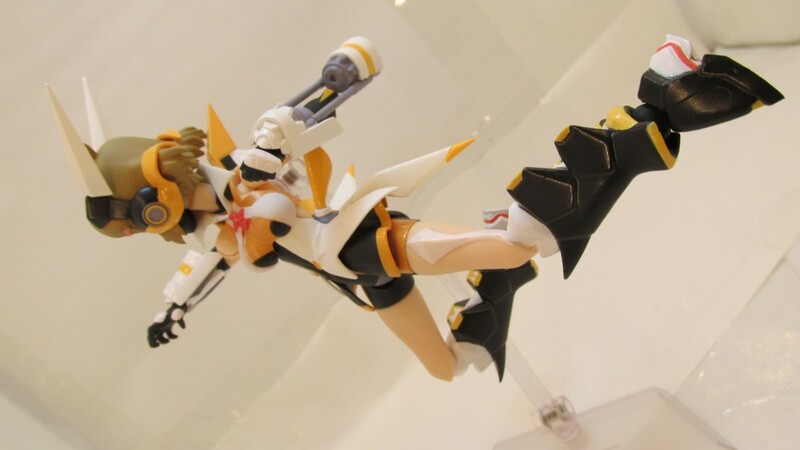 Between Hibiki and Tsubasa I would give them a 7/10 rating but by them selves I give Hibiki a 8/10 and Tsubasa a 7/10 (mainly those feet blades) so if you haven’t watched this anime you should give it a go since it’s a fun watch. 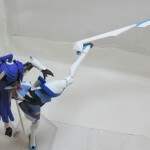 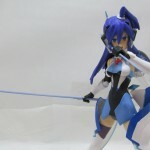 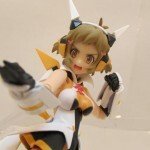 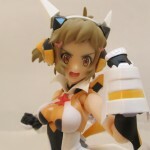 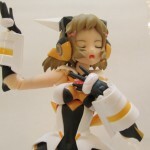 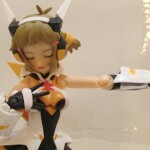 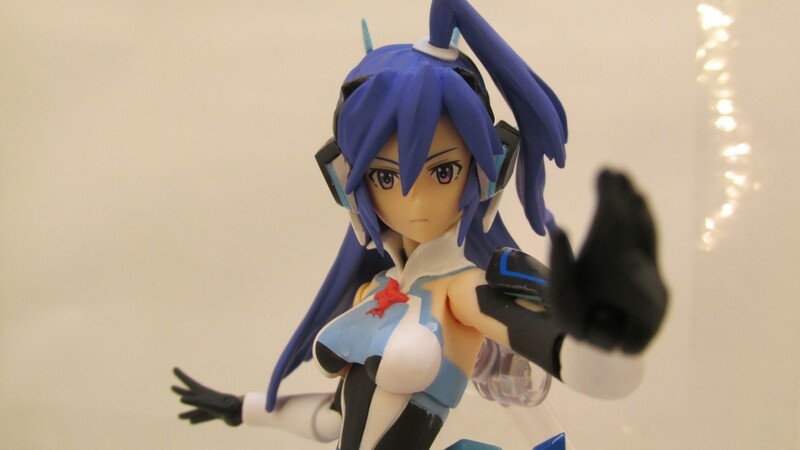 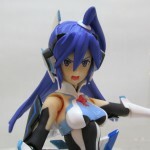 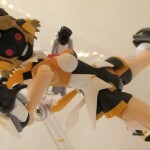 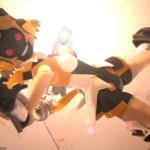 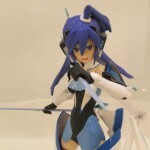 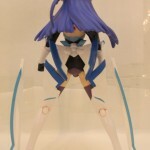 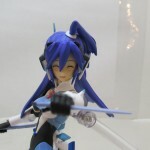 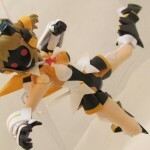 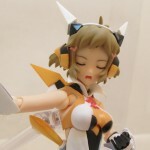 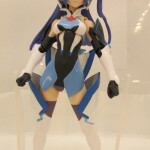 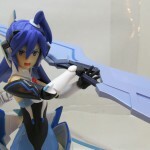 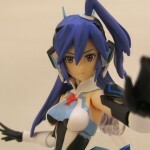 Tags: Amou Kanade., anime, Chris Yukine., figma, Kazanari Tsubasa., kos mos, magical girl, Max Factory, mecha, Reviews, sandrock gundam, Senki Zesshou Symphogear, Symphogear, Tachibana Hibiki.